This aesthetic cluster has a thin white matrix covered in beautifully bright points. 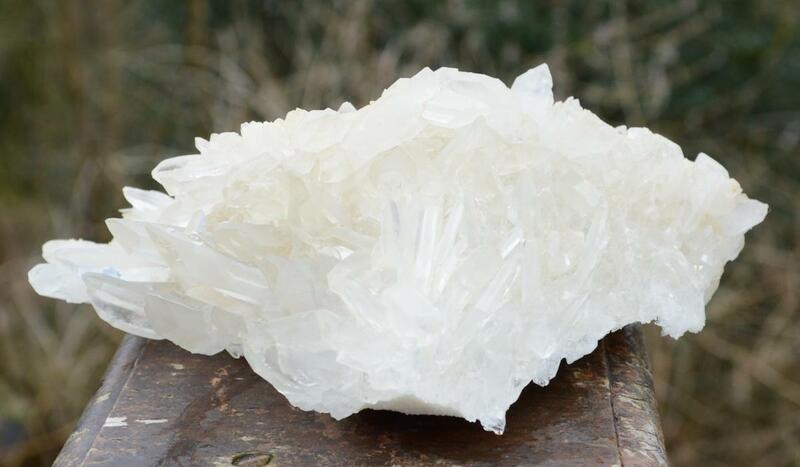 An energetic Himalayan cluster that stands pleasingly in several positions . .
"Quartz can provide for conversion and redirection of the energy towards a beneficial state. 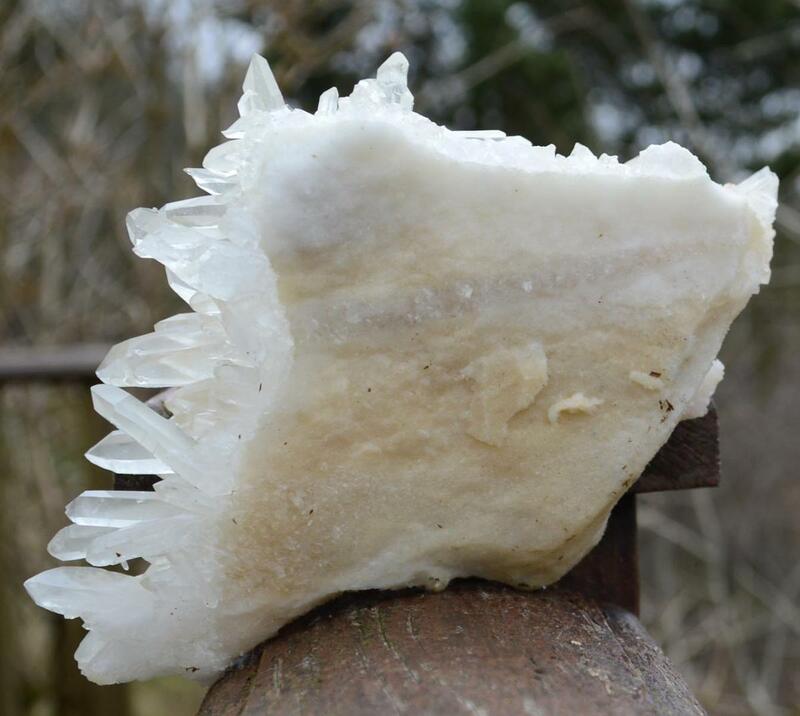 It produces a naturally balanced, solid-state energy field, modifying the energy available. 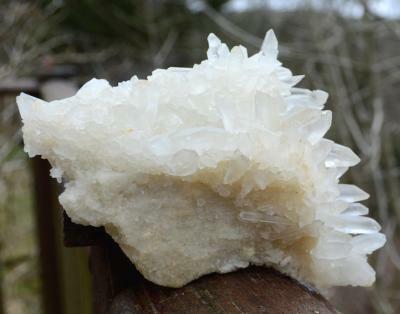 Quartz crystals can be used to clear and activate the energy centres of the body." Melody, Love is in the Earth.